I recently wrote about our Million Dollar Family — one boy, one girl, two parents (and a dog). In our family, typical sibling rivalry has been replaced by innocent idolizing. The big brother holds his sister’s hand and leads her toward the future. Sadly, I know this time will pass too soon as kids grow up, grow old, grow apart. What I didn’t mention was how modern our family is. Five years ago, our daughter became one of a growing number of children born with a disability. Fortunately today, our family seems stronger than ever and hardships of the past seem to be behind us. The future however will likely present us with hardships that are daunting in new and unanticipated ways. Presently however, life is good and our daughter is as engaged as any child her age. My wife and I are ecstatic when a birthday invitation arrives home in her backpack. Two parties so far and counting. A trend like this would be wonderful as she makes her way through elementary school, surrounded by those who accept and embrace her. But, beyond the acceptance of the classroom door, it’s another world. Last year we were so happy to find an organization that offers dance lessons for children with special needs. Rising Star uses their students to teach our children in a fun and safe environment. The classes are free and we feel so fortunate to have found this community for our daughter. We’ve looked for other similar opportunities to participate in physical activities, but have sadly come up short. 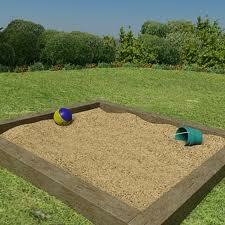 Just recently though, I read about The Sandbox project. A great initiative brought about through national research determining to what extent the “special” population is integrated into the community. I am very excited to follow this movement. The timing could not be better for us. Hopefully our million dollar family will extend to 35 million, and beyond.